Realtors influence the perception of local public schools. They are often the first contact for many people considering a move into a new city. Unfortunately, as is the case in Pasadena, realtors often repeat misinformation without having an up-to-date, accurate understanding about how the local public schools are truly performing. In Pasadena, the Pasadena Educational Foundation (PEF) in partnership with the Pasadena Education Network (PEN) have been working on a “Realtor Initiative” in an effort to make sure that realtors are better informed about their local public schools. It was great to discover this Partners Trust blog post sharing about the important work being done by both PEF and PEN. 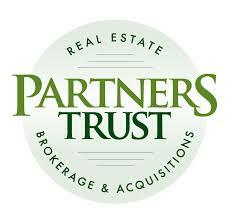 Partners Trust also co-sponsored a screening of the GO PUBLIC film last May. We hope more real estate companies will follow Partners Trust example and make a sincere effort to get to know their local public schools so they are better informed and willing to communicate accurate information to their clients and others. Their voice and influence matters! Coming up in March, watch for “Realtors Read Across America”, a special effort that is part of Dr. Seuss’ Read Across America the week of March 1. Realtors will visit and read to K-5 graders at the elementary school in the neighborhood where they specialize. A wonderful way to combine a visit to a public school campus, community care and business savvy. WIN, WIN, WIN!